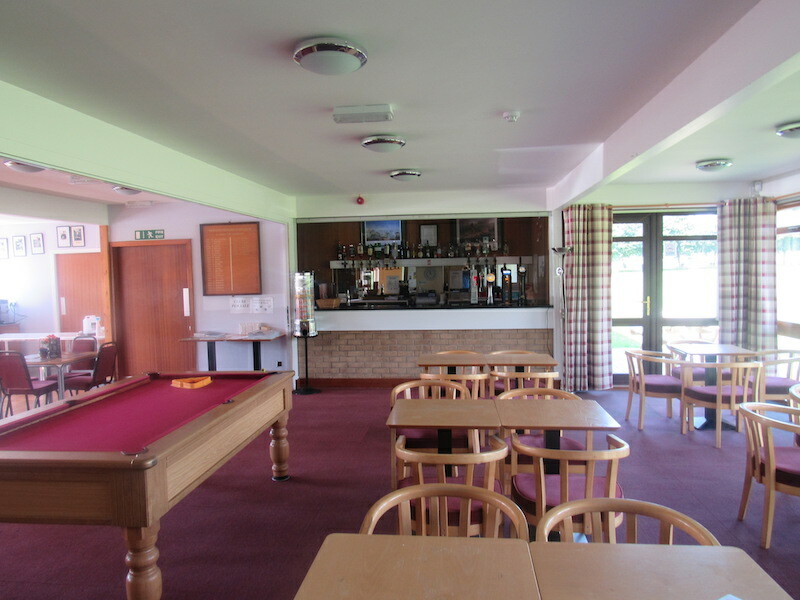 Our clubhouse overlooks the 1st and 18th fairways and visitors can enjoy all of its facilities. 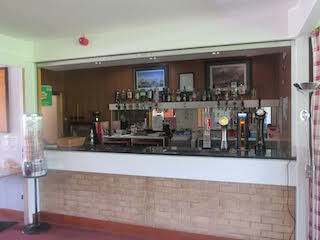 They have full access to the licensed bar, restaurant and changing area including showers. There is a decking area at the back where you can enjoy a drink on a warm summer's day. There is also a dartboard, pool table and table tennis. 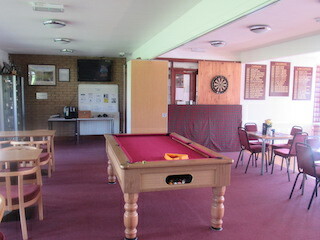 The Clubhouse can be booked in advance to host parties and private functions. The maximum number of people we can host is 60. Please contact the steward to make a booking on 01671 402172 or click here to send an email. The bar is open daily during daylight hours from April 1st every year till October 1st, excluding Mondays and at week-ends throughout the winter. Rates for groups, twilight golf, etc., can be negotiated. Trolley and buggy hire are available. Tee times can generally be arranged for small parties or singles at short notice, by calling ahead and speaking to the steward. Attitudes to dress code are generally informal and relaxed, but members and guests are encouraged to appear clean and smartly presented as a mark of courtesy to others in the bar and restaurant. The steward has the support of the committee in maintaining reasonable standards in this respect. No football or rugby colours are allowed on the course or in the clubhouse. Please phone 01671 402172 to book buggies and/or carts in advance or ask for Steward/Manager Sally Moore for golfing or catering requirements.